NPRM Symposium: How Should We Think About Whether To Donate Our Leftover, Non-Identified Tissue to Research? Proposed changes to the federal Common Rule would ask patients for the first time to decide whether to allow their non-identified, leftover tissue to be used for research or thrown away. For that choice to be meaningful, the public needs to be aware of the nature, risks, and benefits of biospecimens research, and of what the proposed changes will—and will not—do. In my latest Forbes essay, “No, Donating Your Leftover Tissue To Research Is Not Like Letting Someone Rifle Through Your Phone,” I consider the power of analogies and other reflections on Rebecca Skloot’s recent New York Times op-ed on the NPRM. 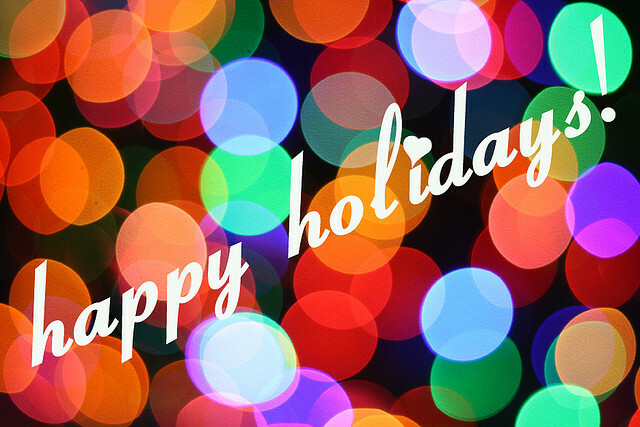 Happy Holidays from the Petrie-Flom Center! The Petrie-Flom Center will be closed, along with the rest of Harvard University, from December 24 through January 3. We look forward to new activities and conversations about health law policy, biotechnology, and bioethics in the New Year! Indeed, before the study, and because of a dearth of private insurance pricing data, many simply believed that locales that were cheaper for Medicare were cheaper for private insurance—that is, areas that were great stewards of Medicare funds were likely efficient for private insurers as well. But this new paper demonstrates that this is not true. The two metrics are completely separate. Senator Cruz’s RESULT Act Contains a Particular View of the FDA’s Role – But What About CMS? Last week, I blogged here about the introduction of the Reciprocity Ensures Streamlined Use of Lifesaving Treatments (RESULT) Act (text) by Senators Ted Cruz and Mike Lee. As I noted, the Act would require the FDA to speed review of drugs, devices, and biologics that are already approved for marketing in a particular list of countries, including EU member countries, Japan, and Canada. If the FDA declines to grant reciprocal marketing approval, the Act would permit Congress to override the FDA’s decision through a majority vote via a joint resolution. My post, and additional commentary from numerous other outlets (including RAPS, Vox, and Marginal Revolution) largely focused on the Act itself – on the merits of the various provisions, and on whether those provisions would be effective at accomplishing the Act’s stated goals. But each commentator’s view of the situation depends in large part on their priors about what the purpose of the FDA is, and relatedly, how it should behave to achieve those purposes. In this post, I want to first briefly explain these different views about the purpose of the FDA before explaining the ways in which our views about pharmaceutical regulators are often tied to our views about public health insurers – a point which has largely gone unmentioned in the debate about the RESULT Act.